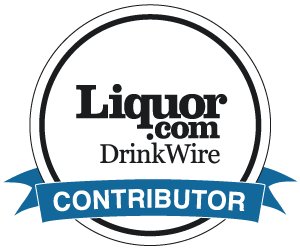 The Real Absinthe Blog: More absinthes coming to the USA soon! 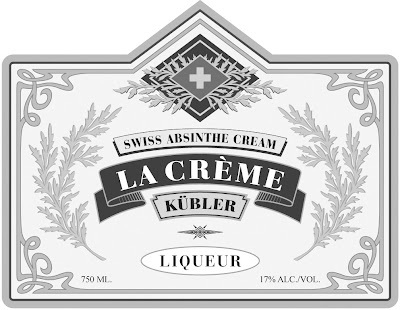 More absinthes coming to the USA soon! In December 2007, I predicted that there would be at least 8 - 10 absinthes freely available in the USA by December 2008. While the word "freely" was a bit careless and open to misinterpretation, the words "at least" were chosen very deliberately. I also predicted, "One or two unlikely alliances between some of the main players will start to be seen." 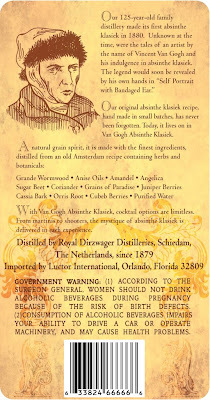 More of the second prediction later, but, firstly, I'll review the number of absinthes coming to the USA this year. Bevlaw, a firm concentrating on the federal regulation of alcohol beverages. has been keeping track of the product and label permissions given to absinthes, and recorded 12 by May 2008, and subsequently updated. These include the early launches such as Lucid, Kübler and St. George, the more recent launches such as Grande Absente Originale, Le Tourment Vert, and La Fée Parisienne, and some that have yet to reach the market. The latter includes Mythe Absinthe Traditional, Libertine, and Mata Hari Absinthe Bohemian. Artemisia, from Fat Dog Spirits, Florida (which has nothing at all to do with the Artemisia Distillery of Claude-Alain Bugnon, the home of La Clandestine), and La Muse Verte. Add the two Sirène labels from Chicago's North Shore Distillery, Denver's Leopold (all these shown on BevLaw), as well as Trillium and that makes the tally 17 launched or about to be launched absinthes. 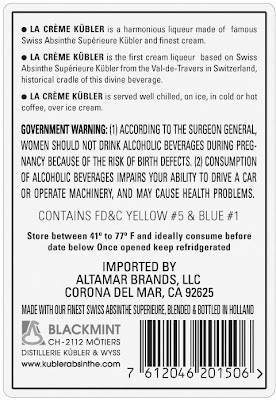 I am also aware through contacts and forums of 5 other absinthes that are going through the US permissions process at the moment, with approved products and pending label applications with the TTB. These include Gwydion Stone's Marteau and Delaware Phoenix Absinthes. Of course, a good investigative blogger can go a lot further and it's interesting to do more research on US trademark registrations. A search for "absinthe" reveals some interesting issues of potential future launches, trademark clashes (putting it mildly!) and brand name ownership. 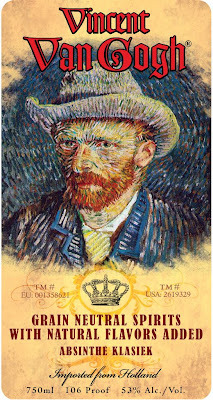 Luctor International (of Van Gogh ) has registered several absinthe trademarks in the USA, while Emile Pernot seems to be registering every name they have! And what is more surprising is the absence from the TTB and label registries of some of the really big names. Where is Pernod (apparently working on it, but nothing seems imminent)? And where are some of the Czech products that I have taken issue with previously, either here or on other blogs? UPDATE: July 7th, 2008. The US launch of Pernod Absinthe announced. Reviews of this product at Fée Verte were fairly damning. Today, after several months work in the USA and Switzerland, I am happy to announce a major initiative between two of the major forces in modern absinthe: Viridian (of Lucid fame) and La Clandestine (and that is the new approved label above). In fact we have been talking for some while, starting in June 2007 when I emailed Jared Gurfein, President of Viridian to query some of the copy on the Lucid Absinthe website. In the space of a few emails, the tone went from formal to friendly, and it was evident that we had a lot in common: a love of real absinthe and a resolve to get the best absinthes into the USA. So in late-summer 2007, Jared and Ted Breaux, the creator of Jade and Lucid absinthes, came to meet Claude-Alain Bugnon, the distiller of La Clandestine, and myself in Couvet, the birthplace of absinthe and the home of La Clandestine. Firstly, we all tasted both Lucid and La Clandestine. Cheers, Jared! Then as day turned into evening, we started to look into the long-term. Within a day, we had the basis of an agreement that worked for both parties. More importantly, we could now begin the process of gaining US approval for the prize-winning La Clandestine, probably one of the most-loved of all absinthes. Of course, that process was not 100% straightforward, and we had to make some very minor changes to the proposed US label. But following in the footsteps of Viridian, who had already launched the first absinthe in the USA for nearly 100 years, meant that the process was almost as smooth as we could have hoped and final label approval came through on June 16th, 2008. Of course since we started this journey, several other companies have won permission from the USA authorities to launch their absinthes and absinthe lovers at the Wormwood Society have greeted some of them with less than total enthusiasm. So we are delighted that one of the long-term favourites of absinthe lovers at the Wormwood Society, more generally (e.g. on MySpace) and of absinthe industry professionals will shortly be available in the USA. 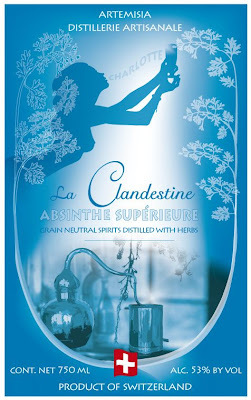 Update (Summer 2012): La Clandestine Absinthe is now imported by Artemisia's new partners, DC Craft Spirits. They have been building on the start made by Viridian and have already extended distribution into new States such as Massachusetts and into new retailers such as BevMo! This brought a tear to my eye. Such a giant leap for absinthekind is truly a day to remember. We will be publishing this as a news item along with the latest review tomorrow! The articles in this blog are the copyright of Alan Moss unless otherwise specified. Alan Moss. Picture Window theme. Powered by Blogger.